The sitting administration has brought with it a great deal of uncertainty and chaos regarding refugee/immigration issues. In Yellow Springs, we began a process of discernment in 2015. There is a coalition amongst community members, Antioch students, Yellow Springs Schools, Village Council, First Presbyterian Church of Yellow Springs, and the Beloved Community Project. This questionnaire is designed to be taken *before* the October 21 event, which is in McGregor Hall on Antioch College campus, room 118. Please check back here for a post-event survey that will go live at 3 o'clock on October 21. * 3. Are you aware of refugee communities in the greater-Dayton area? * 4. Let's dig into the answers to question 3. 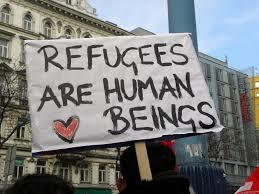 If you are unaware of refugee communities, why might that be? Geography? Homogeneity of social or cultural groups? Purposefully avoiding contact? Please be specific. If you answered yes, please be more specific. Is this merely an awareness, or are you a member of such a group? A member of a religious or social organization in which refugees are involved? Please be specific. * 5. Do you regard refugee/immigration issues to be among your top three justice concerns? * 6. Many communities in the greater-Dayton area, including Yellow Springs, are wrestling with what it means to be a sanctuary community. Do you think ongoing conversations, education, legislation, and action should be given significant priority (understood as an issue that is not always pushed to the following meeting's agenda in favor of other community issues)? No; while I have sympathy for refugees and immigrants, there are far more pressing issues my community should focus upon to serve citizens first. * 7. I intend to attend the October 21 "Refugee 101" workshop at Antioch. * 8. Please check all that apply.